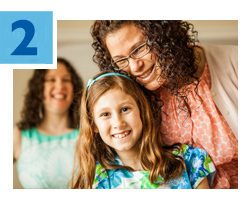 Thanks to the thousands of people who make donations to our Annual Greater Miami Jewish Federation Campaign, we are able to fund more than 100 programs and agencies here at home, in Israel and worldwide. 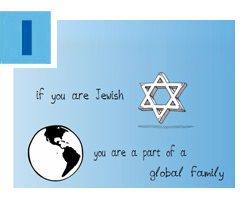 Our new video is an important reminder that you help create one big Jewish family. No matter where you are or where you live, you are never alone. Help spread the word! Find us on Facebook to like and share the video on your social media pages. In addition to the millions of dollars Federation funds to organizations locally and around the world, $100,000 in grants will be awarded to new or expanding programs at Jewish nonprofits eager to make a difference in Miami-Dade County. This year, Federation Incubator Grants will be awarded for compelling and creative ideas that support social-service, educational and identity-building activities that address issues identified by the 2014 Greater Miami Jewish Federation Population Study. Additionally, the Women’s Impact Initiative targets nonprofits aiming to empower and inspire Jewish women and girls and create social, religious and political equality in Miami. Children love the joy of being read a good book. And now, thanks to a limited-time offer by Federation's PJ Library, they can extend their subscription to grandparents. 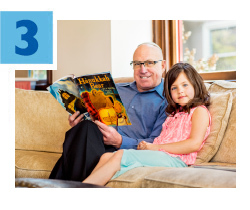 During this year’s High Holidays, grandparents will receive four books (in two mailings) they can use to continue to educate their grandchildren about Jewish traditions and values. Registration is open until August 29. To sign up, click here. PJ Library in Miami is a gift from the Greater Miami Jewish Federation made possible by the Harold Grinspoon Foundation and the Blank Family Foundation. Election season is in full swing, and with that, Federation’s Jewish Community Relations Council (JCRC) is ensuring our community is informed and engaged in the process. Sourced from Miami-Dade County Elections and the Florida Division of Elections, an Election Day Toolkit is now available online. 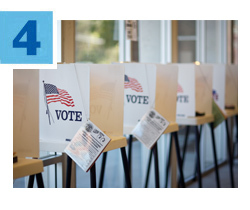 It offers details on voting information, including everything from important notes on state and county elections that list unopposed candidates, to the full text and summaries of ballot amendments. The Toolkit acts as a significant resource and encourages civic participation. Last week, nearly 200 members of the National Young Leadership Cabinet of The Jewish Federations of North America (JFNA) joined together in Aventura for their annual retreat. In what turned out to be a complete surprise during a general session meeting, the group partnered with our Federation’s Jewish Volunteer Center (JVC) to assemble 25 brand new bicycles. The bicycles were given to participants in Miami Children’s Initiative (MCI), an organization focused on transforming Liberty City by investing in the neighborhood’s children. Read more.